Need this in a different language? Leisure & Sport now deliver tennis activities for juniors and adults. This is a fantastic activity and opportunity for people to come along and play tennis while learning new skills in a fun based environment. The classes cater for all ability levels and are delivered by fully qualified, experienced and friendly coaches. There are coaching sessions at sports centres for primary aged children and programmes running at Dawson Park Tennis Courts for children and adults. Tennis equipment is provided at all sessions. Tennis for Kids is a six-week coaching course. Participants receive a free racket, ball set and personalised t-shirt. The course is designed for children taking up tennis, exercises will focus on core skills such as agility, balance and co-ordination. 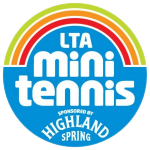 Mini Red Tennis is for players aged 8 and under. It is played on small courts with short rackets and soft balls. It’s just like the real game and gives players opportunities to have long rallies and play different types of shots. Tennis Kids Club is open to all ages, abilities and experience with a variety of games, coaching and activities. Tennis Xpress is a beginner adult introductory coaching course for players who want to learn the basics of the sport. 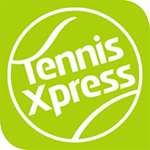 Tennis Xpress is centred on the use of modified equipment such as slower bouncing green and orange balls to ensure that players quickly learn the game of tennis; being able to serve, rally and score by the end of the course. Tennis Tuesdays is designed to allow you take your game forward. Each week’s session focuses on a different area of the game and you will improve your ability with a mixture of skills training and match play with other women at your level. We provide the courts, rackets and coaches – you get the fun and can be as competitive as you want, without feeling under pressure. Adult Tennis Coaching. For players of all abilities to come along for coaching and match play opportunities.